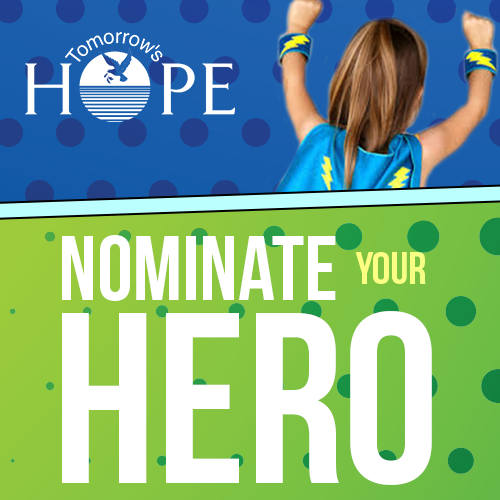 Tomorrow's Hope invites you to nominate your heroes! We want to know who inspires you. Nominations are due by June 1st by filling out our website form. Nominees will be asked to participate in our Opening Ceremony at 12:15 pm on July 20th at Rotary Park in Jefferson. Each nominee will be contacted privately to see if they would like to participate once they have been nominated. All submitted information remains private until consent is obtained by the nominated individual or their guardian. If nominees choose not to participate, all submitted information is deleted. Nominations can be submitted from April 24 - June 1 online at https://www.tomorrowshope.org/hopefest/hope-fest-hero-nominations/.